Lindstrøm - Tensions. Vinyl 12. Bleep. 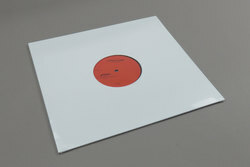 Lindstrøm returns with a brand new 12" of his trademark epics! Tensions is classic Lindstrom. On the flip a remix by DJ Sprinkles collaborator and Comatonse artists Will Long who delivered one of last years best albums with Long Trax. This is Will Long’s first ever remix.